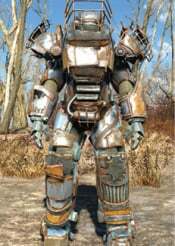 Raider Power Armor is an Armor in Fallout 4. This Power Armor can be customized and changed into different models using armor mods. The armor parts can be interchanged with parts from other sets. Raider Power Armor is the weakest among all Power Armor in Fallout 4. You can often find this being worn by the more higher tier Raider enemies in their camps. 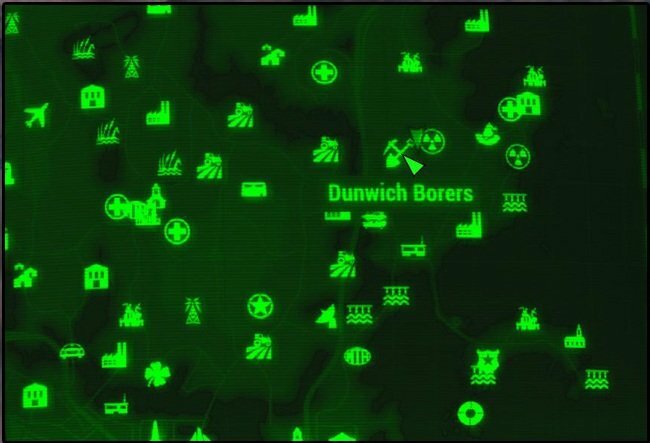 Below is a list of locations where you can find Raider Power Armor set or parts. Note: When killing a raider wearing raider power armor, the parts are usually damaged so you will have to repair them at your base. The power armor's fusion core is not a guaranteed drop, regardless of the fact that it is visible on the back of the raider. Non-named raiders will respawn after a time; allowing you to steal or take their armor again. Powerful Raider that usually wears it at the Dunwich Borers (Towards the east). You can loot the parts after defeating him. In Lexington -- a raider spawns on the roof across from the Corvega Plant in a full set. (Note: he is heavily guarded by turrets and uses a Fat Man) Behind a Nuka Cola sign. In Lexington -- a raider spawns on the broken rooftop near the previous raider. A bathtub can be see on the broken building outcropping. 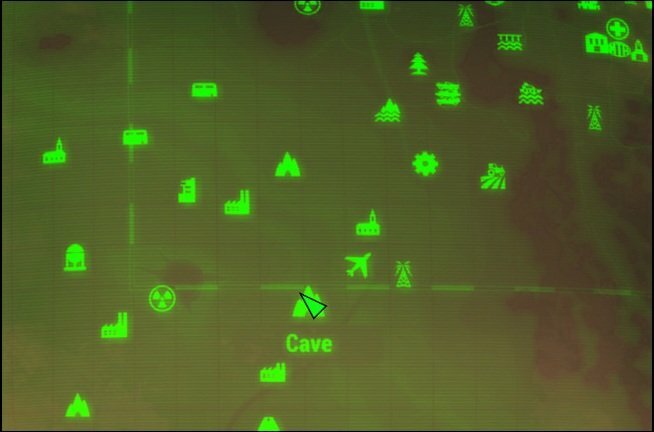 In Outpost Zimonja, you can see a raider named "Boomer" wearing a full set. At the Roadside Pines Motel. In Poseidon Energy on the top floors there is a raider named Cutty with a full set. There is a Raider in armor on the "Wreck on the USS Riptide"
The Raider Power Helmet is a Power Armor piece in Fallout 4. This Raider Power Helmet can be customized using armor mods. Removes radiation from consumed food and water. The Raider Power Torso is a Power Armor piece in Fallout 4. This Torso can be customized using armor mods. Enemies take damage from successful melee attacks. Below 20% health, speed increases 25% and incoming damage is reduced 50%. The Raider Power Left Arm is a Power Armor piece in Fallout 4. This Left Arm can be customized using armor mods. The Raider Power Right Arm is a Power Armor piece in Fallout 4. This Right Arm can be customized using armor mods. The Raider Power Left Leg is a Power Armor piece in Fallout 4. This Left Leg can be customized using Armor Mods. The Raider Power Right Leg is a Power Armor piece in Fallout 4. This Right Leg can be customized using Armor Mods. It seems anytime I target one in VATS the percentages are very low, is there a reason for that?